“What specific outcomes would you expect from our research project?” asked Lionel. “Firstly we need to capture a live specimen of the creature, “answered Blake. “You would want a piece of the creatures flesh to use for a scientific biopsy?” Lionel inquired. “Have you have lost your mind, Mr. Riley? We aren’t even positive that this creature exists,” said Dean Sanderson. “Although I firmly believe in the existence of Ogopogo, I feel that it would be a daunting task to capture one alive,” said Dr. Phelge. 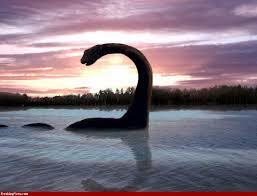 “I would be happy just to get a close up video of the lake demon,” said Ryan. “If we could get a tissue sample from the animal we would accomplish what no one yet has managed to do,” added Monique giving her ponytail a good shake. “If we even got one good sighting just think what a great story we would have for the university’s newspaper,” said Kyle, speaking on behalf of the students. “I’m hoping that we can put together a great book based on our research and findings during our search for Ogopogo,” said Jasmine.